Yay Friday! 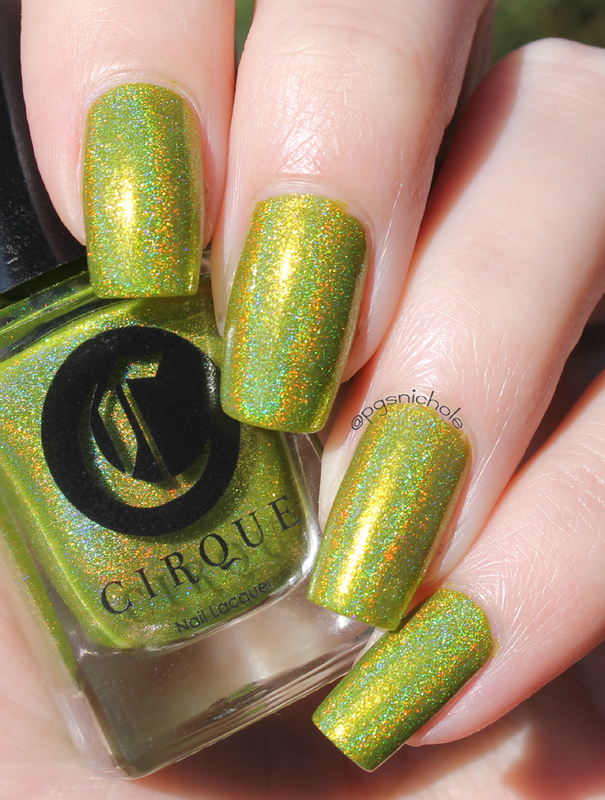 What better way to end the week than to show off the other amazing Cirque polish I managed to get my hands on? See what I meant when I said that this definitely is not my normal color choice? I definitely see this popping back up next month. It is the perfect Frankenstein green...but with a kick. 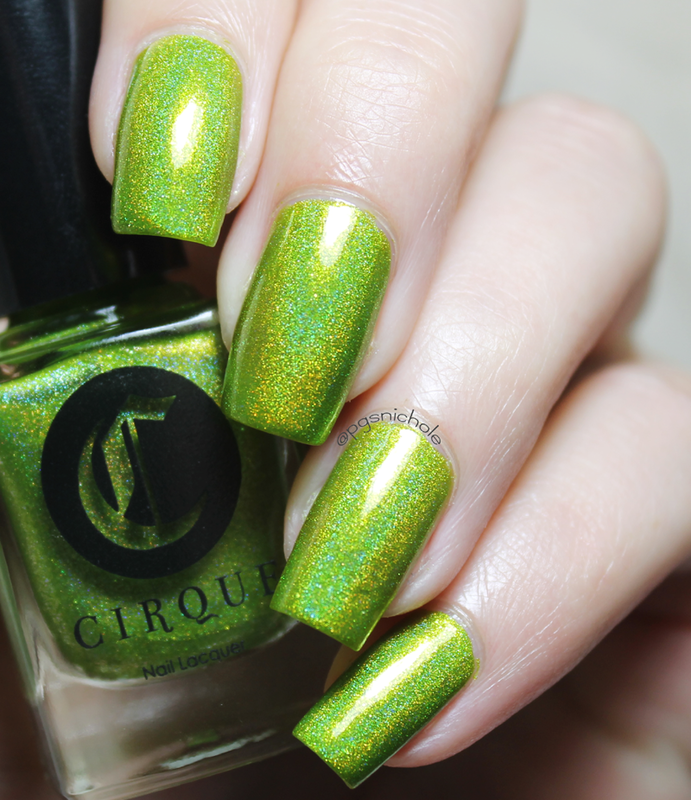 Who could pass by a limey/chartreuse/obnoxious holo and not want to take it home? Obviously not me. I love this color. It is not me at all. Actually it kinda is...it's loud, bright, and sparkly. I am normally not one for "ugly greens", but I actually really like this one.